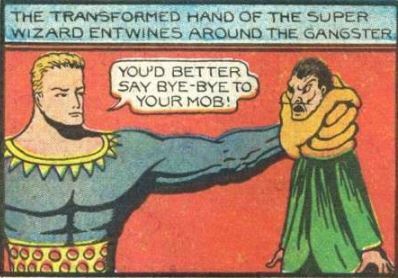 Possibly the most bizarre of all the Stardust comics. 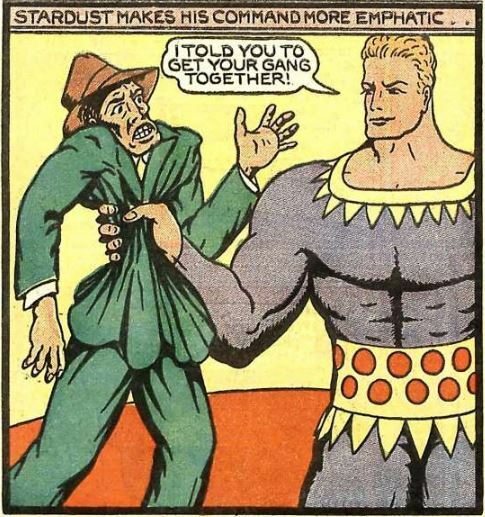 The following story appeared in Big 3 #2, this was the only Golden Age appearance of Stardust outside of Fantastic Comics. 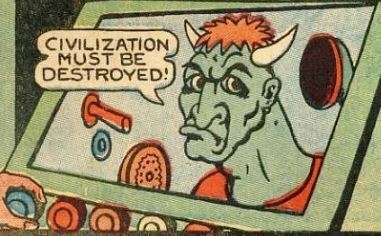 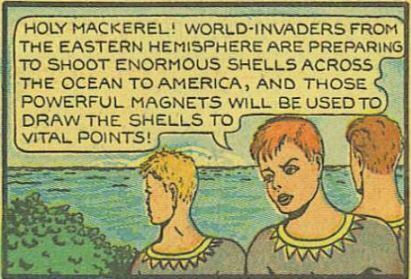 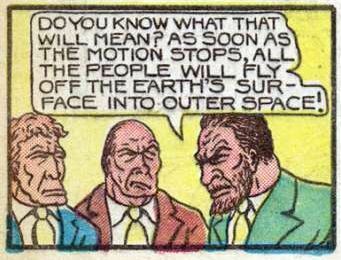 But that's enough current events, we can focus on this story from Fantastic Comics #13. 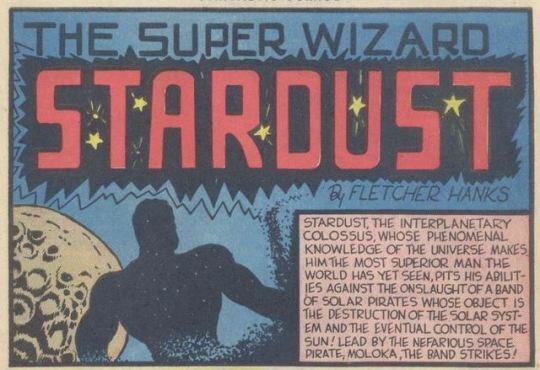 The Stardust story from Fantastic Comics #11. 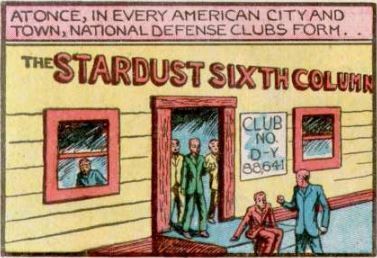 The Stardust story from Fantastic Comics #10. 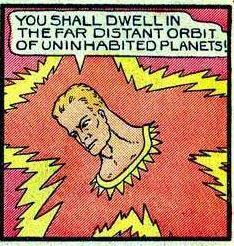 I think this has the most deaths in a Stardust comic (so far anyway). 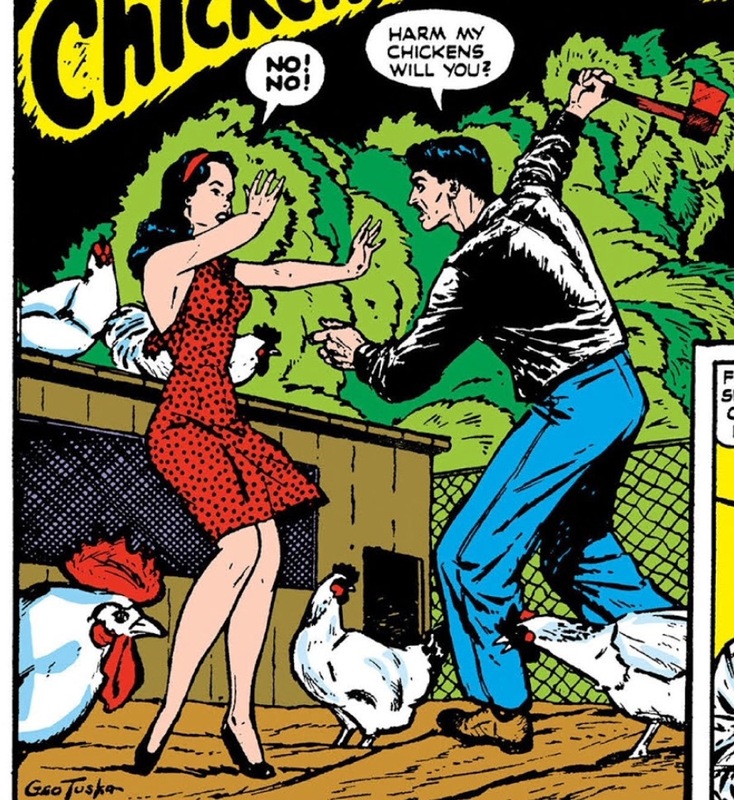 In which the Mystery Woman of the Jungle faces off against the deranged anarcho-primitivist wannabe, Mark Lord (presumably no relation to Maxwell). 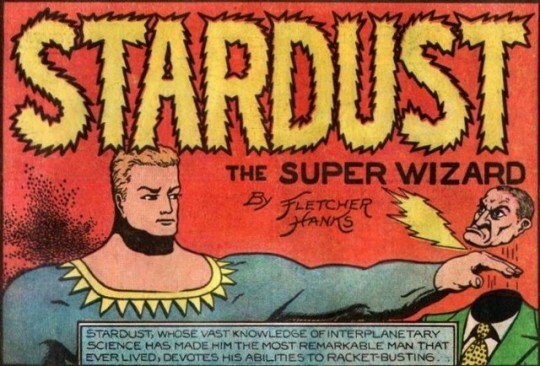 The Stardust comic from Fantastic Comics #7. 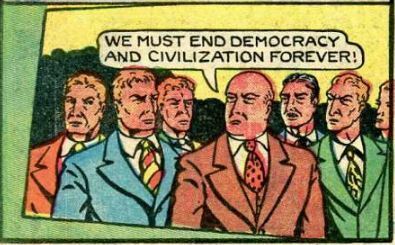 Six pages from ComicBookPlus all in the public domain.